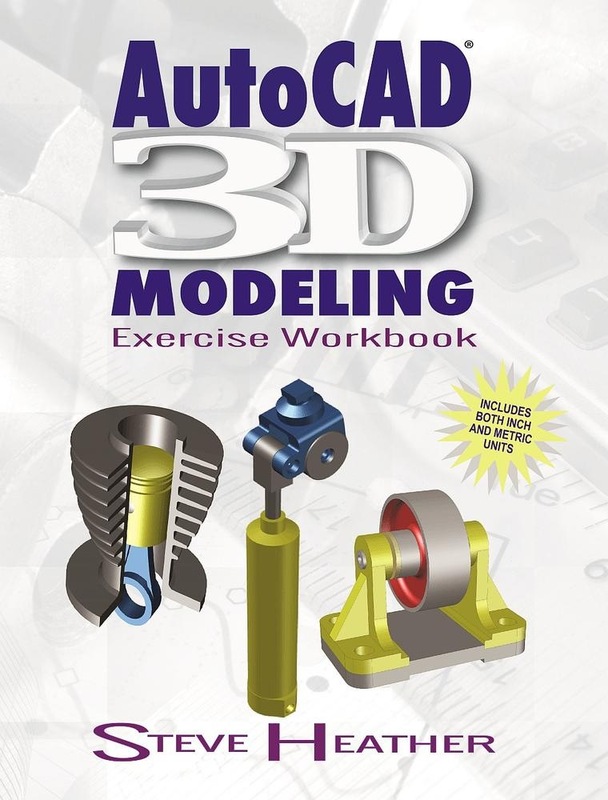 The AutoCAD® 3D Modeling Exercise Workbook is designed for classroom instruction and self-study alike, and is suitable for both inch and metric users. There are 8 lessons and 4 modeling projects, all of which are heavily illustrated, for visual learners. Each lesson starts with step-by-step instructions on how to create 3D solid models, followed by exercises designed for practicing the commands readers learned within that lesson. The modeling projects are designed so that users can create complex 3D models by combining many of the commands learned within the previous lessons. Downloadable sample files are provided to accompany some of the lessons and modeling projects, so readers can follow along and customize their creations to suit their own needs. Written by Steve Heather, bestselling author and official Beta Tester of AutoCAD software, this is an invaluable resource for the thousands of designers, architects, and manufacturers who are using AutoCAD to create their own 3D models and transfer them to a 3D printer for manufacturing and use in the real world. Acquista AutoCAD 3D Modeling in Epub: dopo aver letto l’ebook AutoCAD 3D Modeling di Steve Heather ti invitiamo a lasciarci una Recensione qui sotto: sarà utile agli utenti che non abbiano ancora letto questo libro e che vogliano avere delle opinioni altrui. L’opinione su di un libro è molto soggettiva e per questo leggere eventuali recensioni negative non ci dovrà frenare dall’acquisto, anzi dovrà spingerci ad acquistare il libro in fretta per poter dire la nostra ed eventualmente smentire quanto commentato da altri, contribuendo ad arricchire più possibile i commenti e dare sempre più spunti di confronto al pubblico online.